And so another round of scoring out begins! 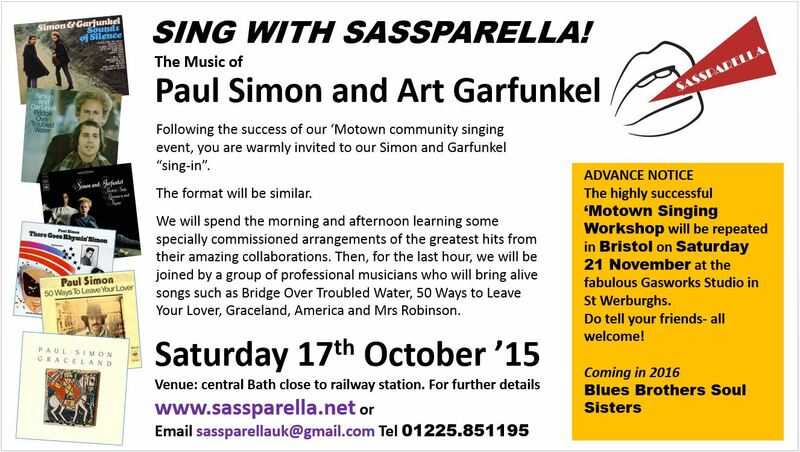 On Saturday 17th October we have our next Sing with Sassparella Bath-uk event. Last time it was ‘Motown- this time, it will be the music of Paul Simon (and Art Garfunkel)… but mainly Paul Simon, as he was the principle writer. People signing up already! Great stuff! 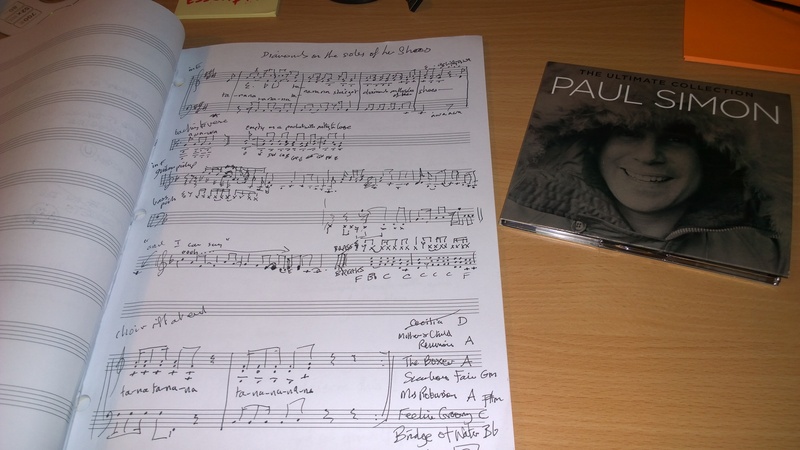 Pingback: Sing with Sassparella- the Music of Simon and Garfunkel- 17th October 2015 | SASSPARELLA! Its me, Sharon, from the surgery! I and 4 friends are really interested in joining you for the singing workshop on Sat 17th October.